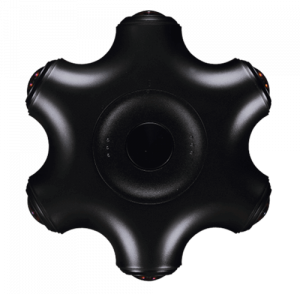 Obsidian S is a high-speed 360 VR camera, which provides exceptional flexibility. It has 120fps high frame rate capability and is ideal for slow-motion photos and videos action cam shots. 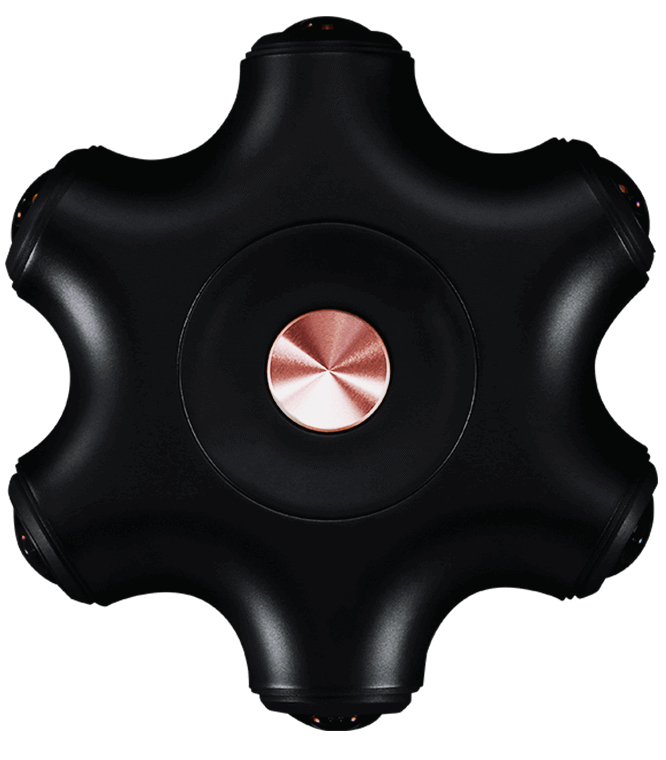 Obsidian R is capable of shooting 3D 360 degree photos and videos. 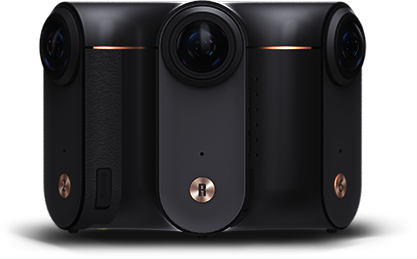 This 360 camera can generate 8K horizontal and vertical resolution 3D 360 image with crisp and vivid details. 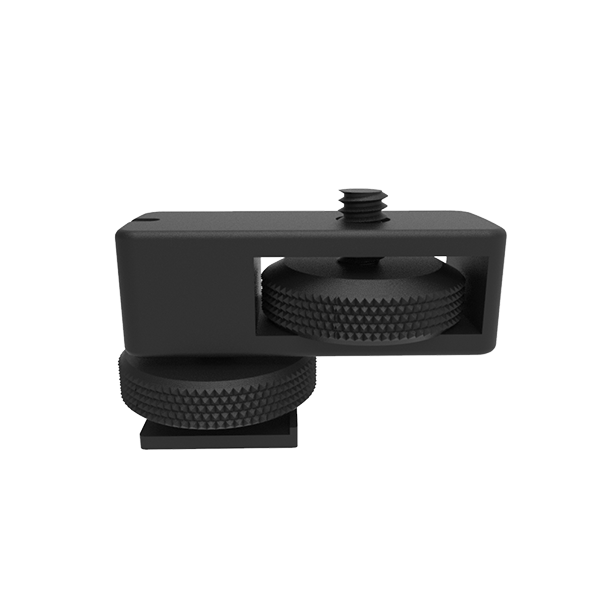 · A minimalistic design – six cameras lenses, stereoscopic 3D effect, a human visual system inspired. · Deep learning – based on optical flow stitching algorithm, a beast of high quality and speed.  · Natural and comfortable – recording real time human experience in total VR(stereoscopic parallax). * It can be converted to 60fps in Kandao Studio for better VR HMD playback. *It can be converted to 60fps in Kandao Studio for better VR HMD playback. 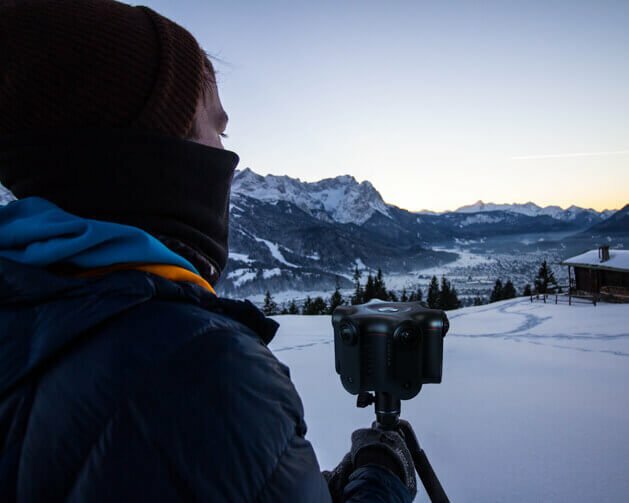 A true sense of immersion can only be created by the 3D 360 video. It’s the key to offer stereoscopic 3D virtual tours for the audience. 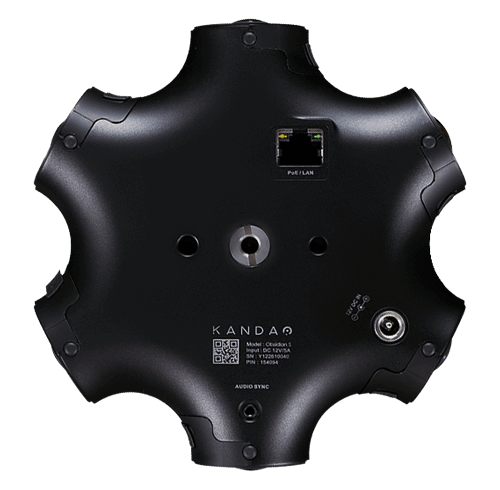 Kandao Obsidian camera system utilizes a deep-learning optical flow stitching method, and can automatically generate high quality 8K full frame stereoscopic panoramas. The whole Kandao camera system provides audiences a true sense of presence through the live stream experience in 3D 30 fps at 8K. 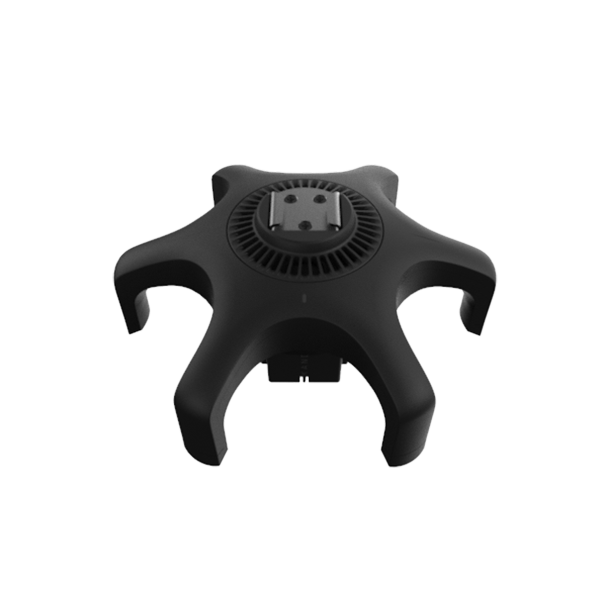 Obsidian professional 360 cameras can be connected to any laptop by our one powered Ethernet cable. Kandao VR Player enables viewers to watch ultra high resolution 8K 360 videos shot by Obsidian cinema camera, either online or offline with little discomfort. 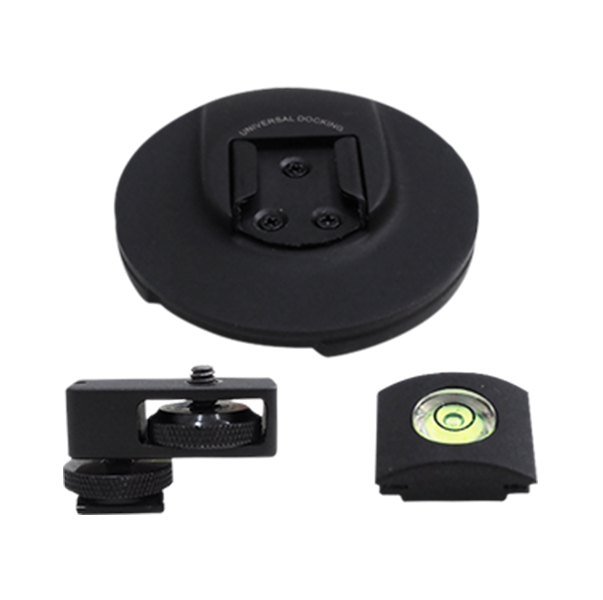 Wearing VR headsets, our patented display method gives users a wider field of view with no distortion. 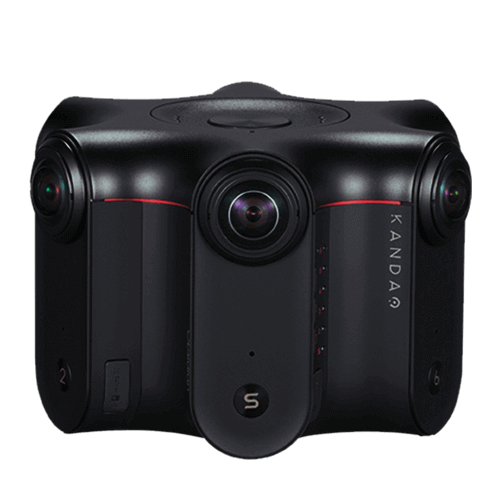 Kandao VR cameras provide the time-lapse recording and support of shooting 8K 3D 360 degree video and photo. 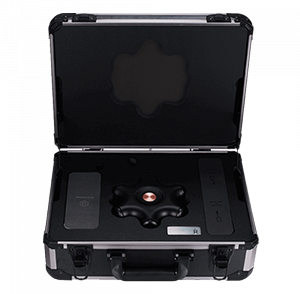 360 video is recorded with flat/standard/log mode, and 360 photo support 8K raw DNG format. They give you an immersive 3D virtual reality experience. Kandao camera company comes with an overall software solution, including rich functionalities. 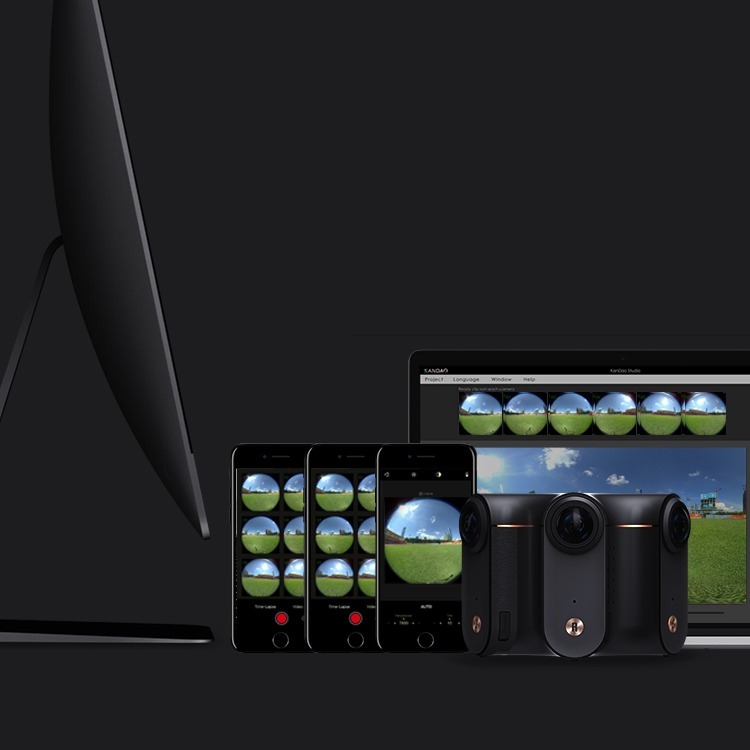 It ranges from post-processing, editing, stitching, and VR video encoding to live streaming*.  Also, this total solution supports industry-standard format and can be easily connected to your existing workflow. 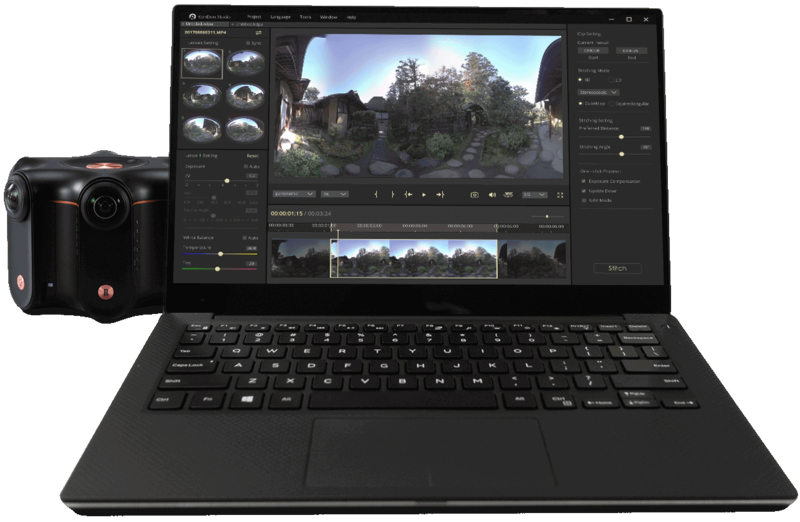 It levels the learning curve for new 3D 360 videos producers and liberates you from the tediousness of the post-production, so that you can focus on creation. 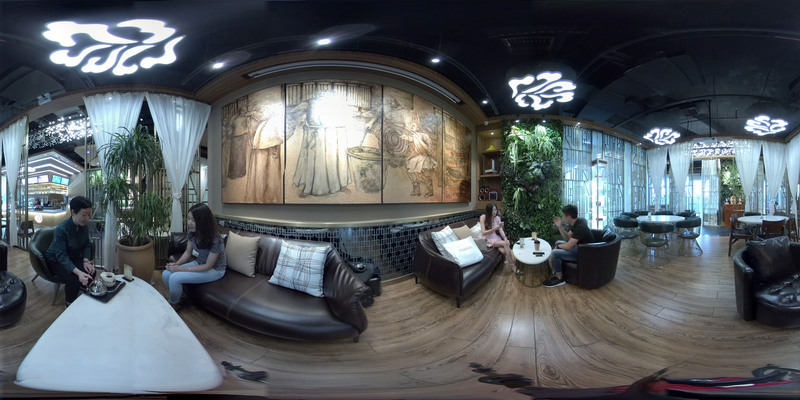 Kandao Studio, designed for Obsidian VR 360 video cameras, can be run on a local computer. Compared to the cloud service, it eases the pain of the long waiting time of uploading and downloading. Let you have full control of your precious content. 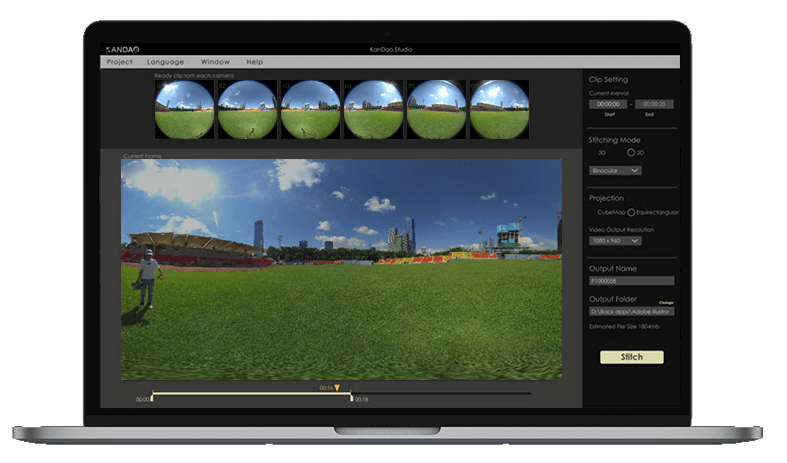 A seamless one click solution automatically generates high quality panoramic videos.  The camera system also enables the 4K 360 live stream and spreads the creative 4K videos to the whole world. It’s easy to upgrade the hardware and software, and get the latest service. 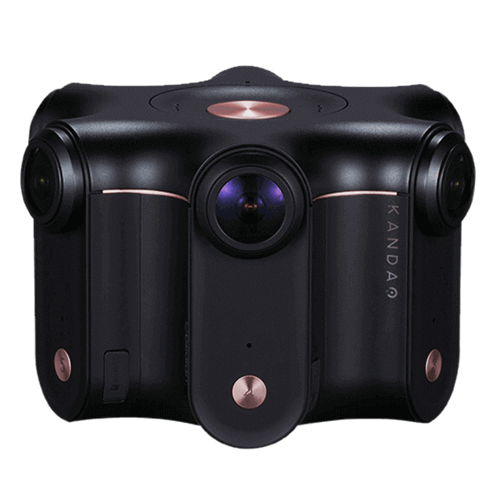 Kandao Studio, designed for Obsidian VR video cameras, can be run on a local computer. Compared to the cloud service, it eases the pain of the long waiting time of uploading and downloading. Let you have full control of your precious content. 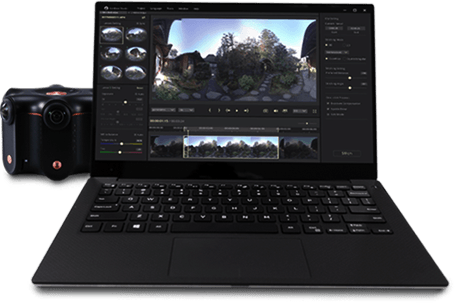 Users have remote control of the 8K video camera through a laptop, an iPad or a phone. With real time preview, every detail of the 360 video camera is under your control. You have the option to tweak settings for the best effect of photos and videos and get confidence in every scenario. Kandao Obsidian VR camera supports real-time 360 videos preview on IOS/Android system’s large format screen. There are manual settings of ISO, shutter speed and white balance of every imaging module.  It’s quick and convenient to adjust them through the remote-control mobile APP. 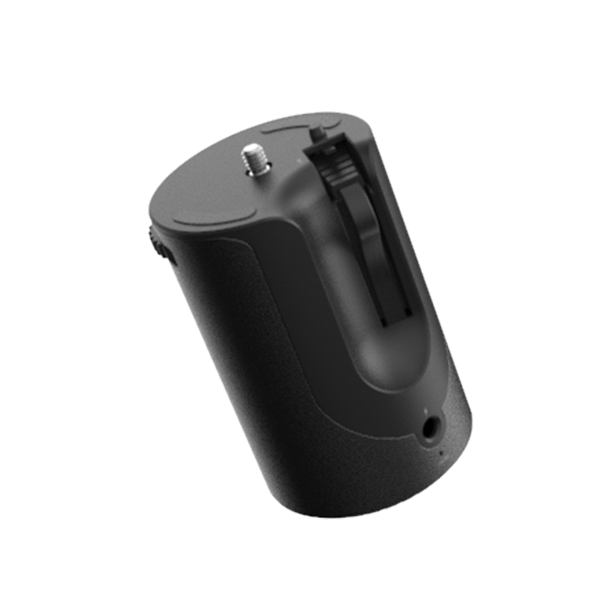 Support master-slave AWB/AAA mode, WiFi, Bluetooth, 6 SD memory cards and long battery life. 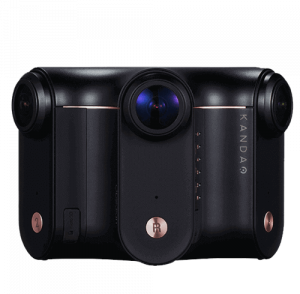 Kandao Obsidian VR camera supports real-time 360 videos preview on IOS/Android system’s large format screen. There are manual settings of ISO, shutter speed and white balance of every imaging module.It’s quick and convenient to adjust them through the remote-control mobile APP. Support master-slave AWB/AAA mode, WiFi, Bluetooth, 6 SD memory cards and long battery life. Say goodbye to the bulky expensive HDMI capture cards and nightmarish HDMI cables, which are needed to view a playback. Even more, the power cord is gone. One Ethernet cable does all from image setting control, and file transfers for previewing and up to 8K 3D 360 live streaming. 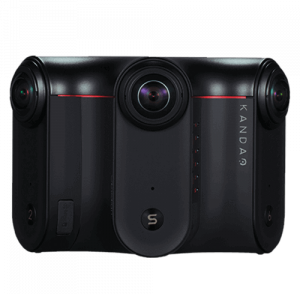 Kandao Obsidian VR cameras are configured with PoE (Power over Ethernet) technology, which allows data signals transition through the Ethernet cable. And at the same time, it powers the 360 camera. Thus, there is no need to connect external power supply. 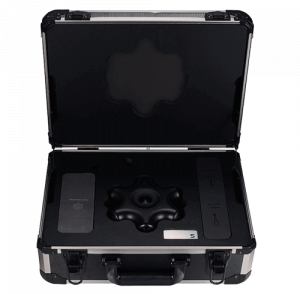 It may simplify wiring, reduce costs and bring the convenience of better 360-degree video camera operation. 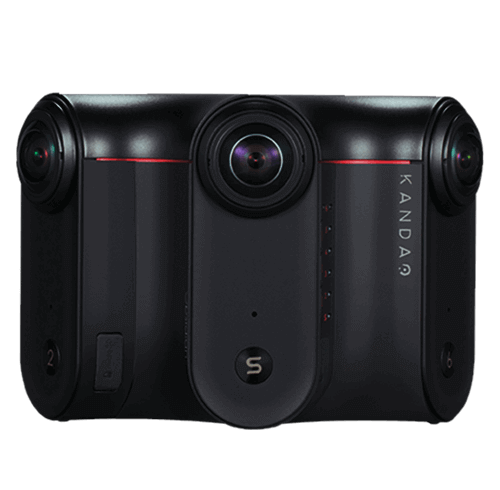 Kandao Obsidian VR cameras are configured with PoE (Power over Ethernet) technology, which allows data signals transition through the Ethernet cable. And at the same time, it powers the 360 camera. Thus, there is no need to connect external power supply. 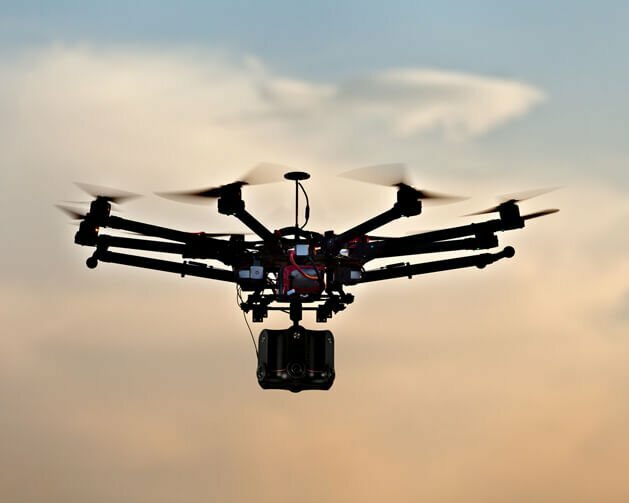 It may simplify wiring, reduce costs and bring the convenience of better camera operation. Kandao Obsidian stereoscopic 360 VR camera is designed for convenience. Like action cameras, you can take it anywhere and set it up easily, whether you place it on drones, cars or hold it by hand. The iF Design Awards is recognized as one of the most respected awards within the field of design. 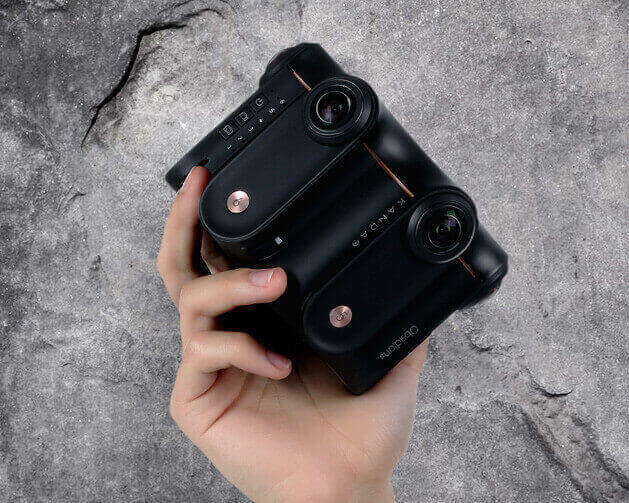 Kandao Obsidian and QooCam VR cameras won over 6,400 entries from 54 countries and received prestigious 2018 iF Design Awards, which shows their high level of performance and proven design quality. Recipients of the CES Best of Innovation Award are viewed as trendsetters in the global technology industry. The digital imaging category has previously been dominated by top international brands such as Sony and Nikon. The Kandao Obsidian Stereoscopic 360 Camera beat out fierce international competition and became the first Chinese brand product to win this award. 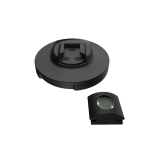 Built-in IMU sensors integrated for image stabilization software. Handy tools to improve the image quality (Denoise/ Defringe/ Exposure compensation). 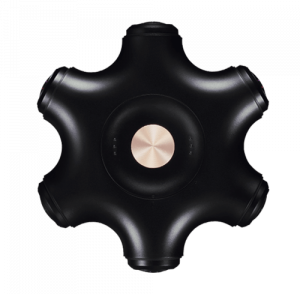 6 SD cards , Support 360 degree ambisonic audio recording. Flexible bit rate options: 60 mbps & 100mbps. 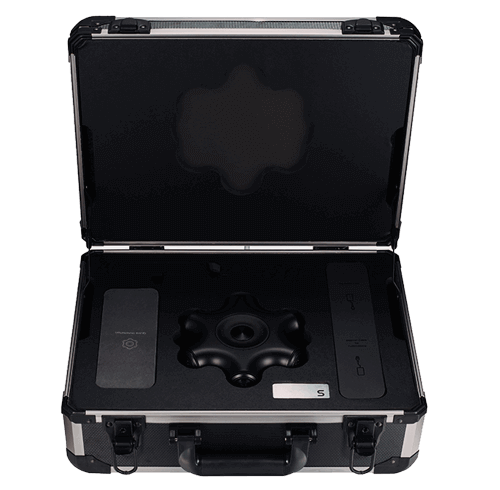 Watch the following video to see how Obsidian 3D 360 camera is easy to use.